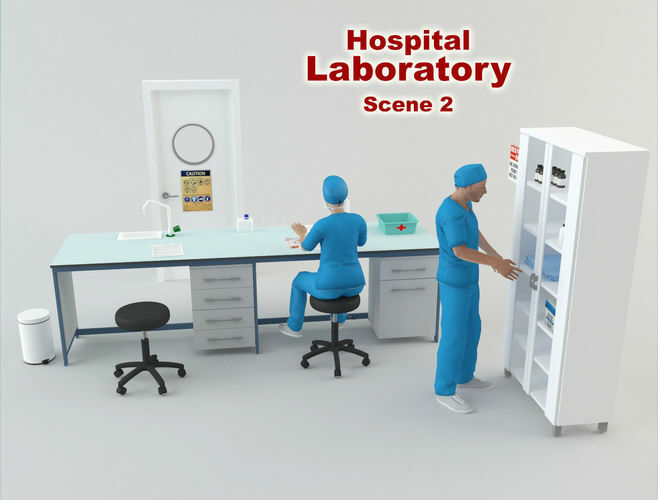 3D scene of furniture and objects of a laboratory and a hospital. There are also two characters dressed in medical clothing. The characters have bones to be moved as we like. There is a especial table for laboratories with a sinks included, a closet, and stools. The models are created with 3D Studio Max. VRay is included. Also format FBX and OBJ included.